Honda CB650F | SA Motorcycles. Street fighter style and attitude. 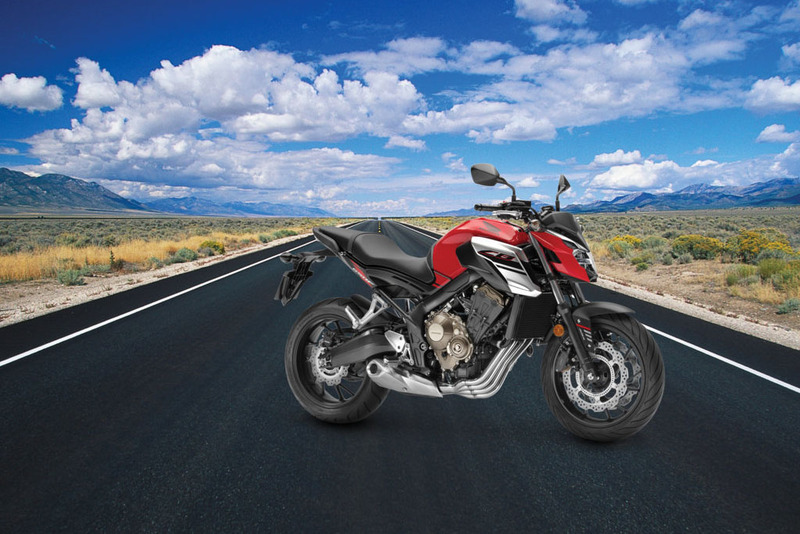 A brand new middleweight machine with street fighter style and attitude, the CB650F boasts a new engine, a high-quality chassis and standard ABS. A brand-new DOHC, 649cc four-cylinder engine has been developed to deliver high torque through the low-to-mid rpm range and strong acceleration from a standing start. 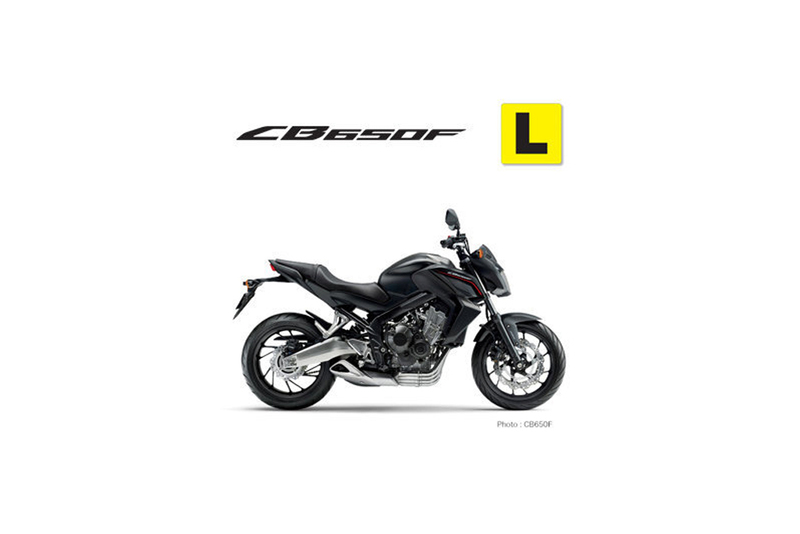 A brand new middleweight machine with street fighter style and attitude, the CB650F boasts a new engine, a high-quality chassis and standard ABS. A brand-new DOHC, 649cc four-cylinder engine has been developed to deliver high torque through the low-to-mid rpm range and strong acceleration from a standing start. The bike also features a high-quality steel diamond frame that has been specifically tuned to deliver the desired handling characteristics and appropriate level of rider feedback. The swingarm pivot plate is forged then welded together, while the gravity die-cast aluminium swingarm features a curved shape that arcs over the muffler. Adjustable 7-stage spring preload monoshock operates directly on the swingarm. Dating back to 1969, Honda's four-cylinder CB range has a proud history of centralised weight and strong engine performance.Now for 2014, crisp, aggressive lines and an angular silhouette give the CB650F exceptional visual appeal while the low centre of gravity, upright riding position and wide handlebars offer excellent control.The street fighter appearance of the CB650F is enhanced by HRC inspired Tricolour. Looking to take the CB650F for a test ride? Tell us when it suits you and we will be in touch to confirm the time and bike availability. 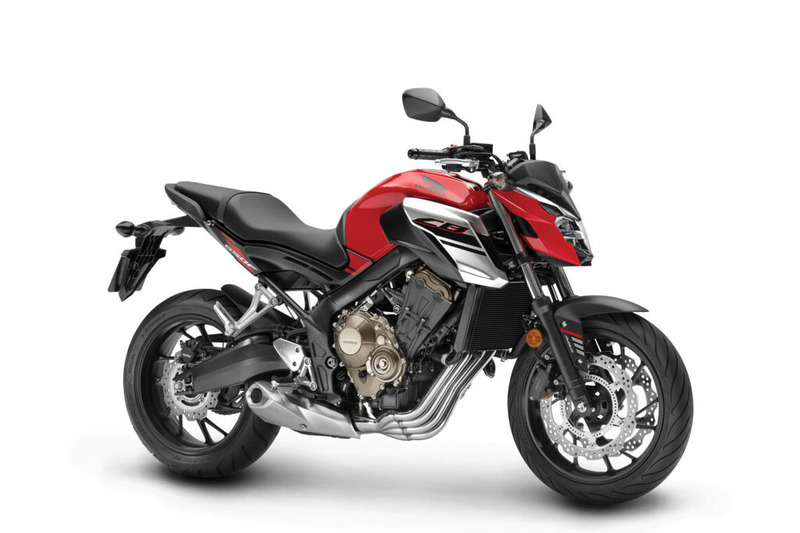 Want to know more about the CB650F? Our sales team have years of experience and can help with your enquiry.